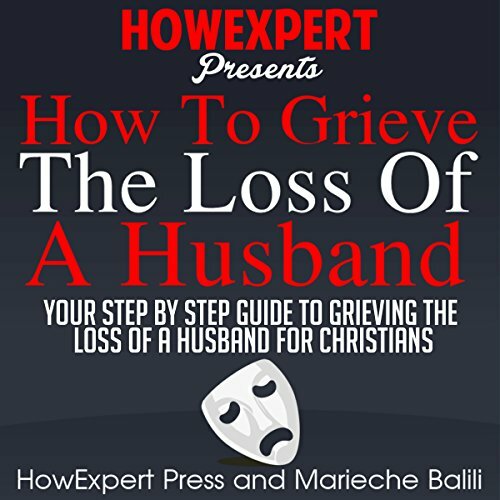 How to Grieve the Loss of a Husband is a step-by-step guide on how to grieve the loss of your husband from a Christian point of view. It is all about self-enlightenment and how to overcome the pain of grieving through God's guidance and love. Realize the highs and lows in dealing with pain and suffering and how to redefine faith and hope to overcome them. The idea of grieving and pain is so overwhelming that most of the time we forget that God is a loving God and he will never leave us hanging with no answers nor forsake us in these times according to his scriptures in 1 Corinthians 10:13. After the death it is but normal to feel anger, guilty, helpless, and lonely but realize that today will be different tomorrow. Death is not the end of it all but a new beginning of your life and a new chapter to your life story. You are not alone, you have God and you have us to guide you every step of the way.